1 England Marriages, 1538-1973, Marriage record for William Twisden and Jane Twisden, FamilySearch.org (Online Database). 2 Collen, George William, Debrett's Baronetage of England, Revised, Corrected and Continued, London: William Pickering (1840), 556, Google Books (Digital Library). 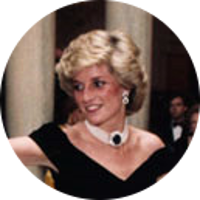 3 Evans, Richard K., The Ancestry of Diana, Princess of Wales , Boston: New England Historic Genealogical Society (2007), 91.